My e-mail alert from Timehop arrived today noting that a year ago today...did not exist. 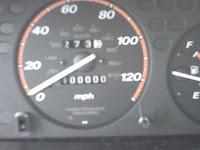 I don't, however, need an e-mail to tell me what I was doing twenty years ago today. I was in a hotel in Athens, Georgia...just hanging out. I always want to do something interesting with Leap Day, but I never do. This year, I have toddlers whose care is more important than any goofy plans. In 1992, I visited the University of Georgia to see about going to graduate school there. Actually, my visit was earlier in the week, but I stayed until Sunday to get the cheaper air fare. So Saturday the 29th I just hung out in my hotel room. The previous day, Carl Pomerance (who would later be my advisor) invited me to go out to dinner with John Selfridge, who I think was visiting before going to a conference. I figured they couldn't possibly want an undergraduate at dinner, and he was just being polite, so I didn't go. I ended up enrolling at Berkeley for graduate school, where I was fairly unhappy. After a year, I transferred to Georgia, only to find out that people there were in fact nice enough to want an undergraduate at dinner with them. Skipping Georgia for Berkeley is probably one of the bigger mistakes of my life. On the other hand, I still got to go to graduate school at Georgia, and even got to hang out with Selfridge a bunch of times. I guess that goes to show that even when I've made mistakes in my life, things have turned out pretty well. If I were doing a "Bowie Food Places Project" instead of a "Bowie Restaurant Project", Simple Pleasures would rate higher. 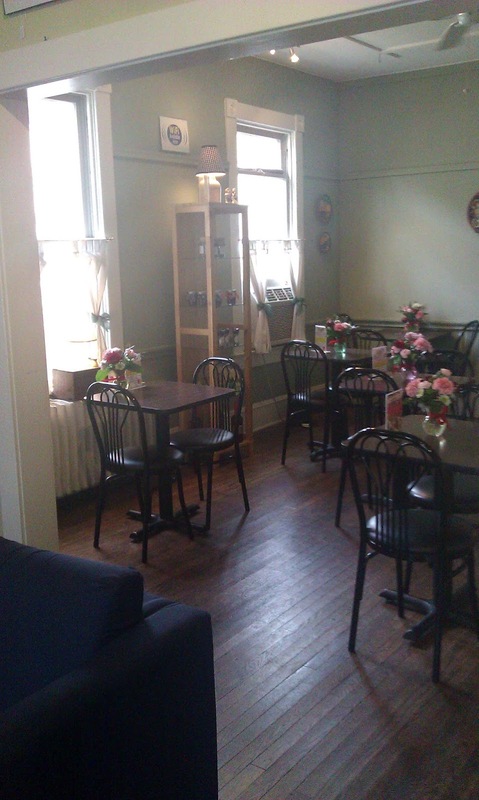 It's a Victorian building in which you can sit and have great, locally-made ice cream! In Bowie, of all places! And I think Simple Pleasures is a great local business, so it pains me to give it only 3 stars. But. As a restaurant reviewer, I have to focus on the meal itself. I found the sandwiches to be "eh". I found the potato salad included with the sandwiches to be "eh". Christina tried the flatbread (essentially a mini-pizza), and that was pretty good. Further, on my second recent visit, the place was closed more than half an hour after it was supposed to be open. It opened a few minutes later, but they looked like they had just gotten there, and they weren't exactly ready for business. Something similar happened to Christina. 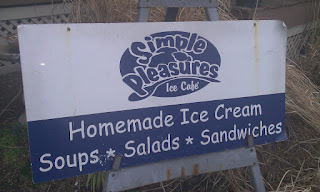 The ice cream, however, was awesome. The service was super-friendly. The setting is absolutely charming -- it's very nice to be able to remind people that Bowie dining isn't all strip malls. All of these factors lead me to bump it up to 3 stars. Wow, this was a find. As I was getting sick of reading Nebula-winning novels, I decided to search my local library's eBook collection for some likely prospects. They let you search on Hugo-nominated (but not Nebula-nominated, only Nebula-winning...weird) books, and that turned up this promising-looking book. I've seen it listed in shorthand as the Napoleonic Wars with dragons. That's pretty accurate, although I feel more like it's a dragon book where the author uses early 19th century Britain as the setting. This sort of very alternate history is not unique, but it's carried off very well here. The characters are believable, the dialogue is crisp, and the plot moves along fairly well. I was interested to see how much the author changed the historical events. She avoids the extremes of "everything's different because there are dragons" and "I'm telling a history, just with dragons added". Let's just say that the Battle of Trafalgar still plays a role, but it's not the only pivotal event in the book. Some reviewers have focused on the style of aerial combat in the books -- dragons typically have entire crews rather than lone riders -- as what makes the books so wonderful. It's a neat idea, but not enough to carry the book. I think the ideas about relationships between dragons and humans are much more important, because they underlie both the combat and the non-combat portions of the book. Also, the decision to make the human protagonist a slightly older person helps, because we're spared the "young boy goes off to magic school" plot that we're all pretty sick of by now. I was looking forward to recommending this book to my friends, only to discover I'm somewhat late to the party -- several of them have already read it. If you're looking for some new fantasy to dig into, I think this is a top choice. As of writing this review, I have actually read the second book in the series, and read about the third through the seventh books. I'm not as excited about the whole series now as I was after finishing the first book. I was happy to hear that the seventh book is coming out soon. I am used to discovering a series three books in, then waiting three years for the fourth book and five for the fifth. (I'm looking at you, George R.R. Martin.) I'll continue to read the books as long as I enjoy them, whether that's too the end (the ninth planned book) or not. 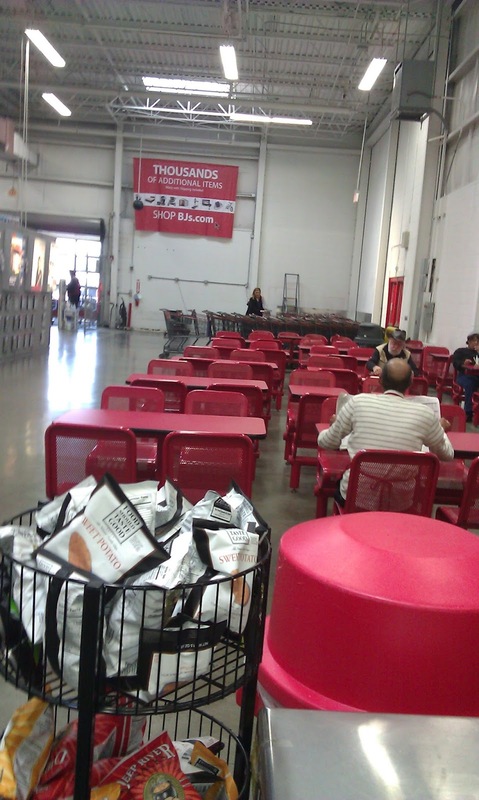 The City of Bowie Restaurant Guide lists this one as "BJ's Express (inside BJ's Wholesale Club). I was skeptical whether it would count as an actual restaurant, but it checked all the boxes for another in the "barely a restaurant" series. It has enough food to serve you a meal, and it has seating. First, the food. It offers pizza, chicken tenders and hot dogs. Since it has the Uno branding on it, I though the pizza would be the best choice. Unfortunately, the pizza bears little resemblance to what you might get at Uno Chicago Grill. 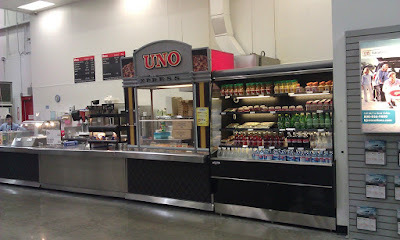 Uno's isn't the best pizza in the world, but it's distinctive, and it's better than whatever they're serving here. I can't imagine the chicken tenders or hot dogs would be worthwhile. Probably the best thing about here was the pricing. A bottled Coke was $1.39, which is ridiculous in some sense, but less than you'd pay at the supermarket or 7-11 if you wanted just one cold one. A "slice" of pizza is $1.99, but it's a quarter of the pizza, and they actually cut it into two slices. The woman who took my order was pleasant enough. Although BJ's is a membership club, you don't need a membership to eat at the Uno Express. I cannot imagine why a non-member would want to unless he had some crazy project to eat at every restaurant in Bowie. As a non-member, you can print a one-day pass to allow yourself to shop there (but pay a 15% premium). I did so, but it turned out not to be necessary. All in all, eating at BJ's is less depressing that eating in Wal-Mart, but at least there you have a standard-quality Subway. If you're at BJ's, there aren't a ton of options in the area, but I would recommend heading over to Rip's. One star, then. It's not awful-awful, but definitely bottom of the barrel. Since I realized that I was better at keeping a restaurant list than the City of Bowie, I no longer depend on them for a definitive record of Bowie restaurants. So now I'm looking for restaurants they've missed. I think I've found one -- the 19th Hole Bar & Grill at the Bowie Golf & Country Club seems to qualify. Even though they call themselves a "glorified snack bar," it's more of a restaurant than many places. It serves a variety of foods, including breakfast, and it has a full bar. So that bumps my list up to 80. I was considering an entire post about something weird I noticed -- only 3 restaurants disappeared between the 2011 and 2012 edition of the restaurant guide. Depending on how you count things, that could be as high as a 4% failure rate, but that seems incredibly low for the restaurant business. After some research, however, I think I've identified the causes. Restaurant failure rates aren't as high as people say they are. Failure rates are highest with new restaurants, and Bowie doesn't have a lot of new restaurants. The local economy is not booming (which is probably why not many new restaurants are opening), but it's doing well enough to keep the existing restaurants in business. The lack of new restaurants means that the stock of existing restaurants isn't getting much competition. One of the three restaurants that disappeared was the Seattle's Best inside Borders -- it didn't fail on its own terms, it failed because it was inside a bankrupt book store. 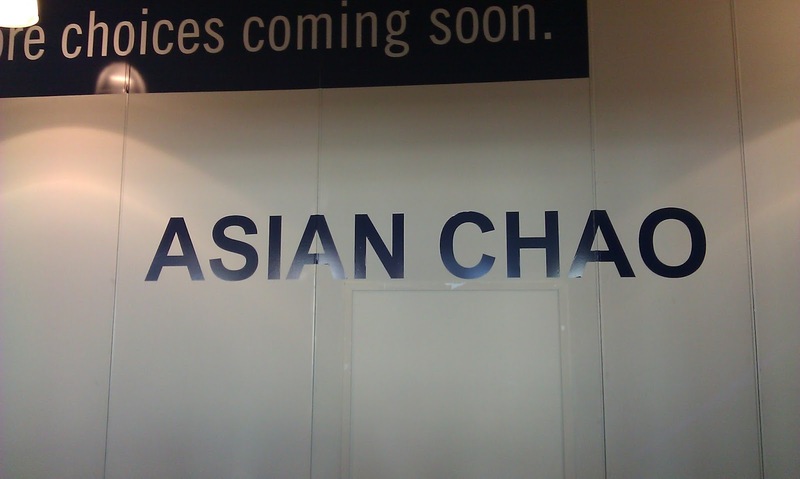 Another was Panda Express, which is being replaced by Asian Chao in the food court. The third is the KFC at Bowie Plaza. None of these seem like great losses, but I don't think there's an underlying theme to tie them together. I read this book because I really like McDevitt, and also because the digital version of it is available through the local library. Let me tell you, library ebooks are great. It combines all the greatness of not paying for books that libraries represent with the awesomeness of not leaving your house that Kindles offer. One thing I have remarked about McDevitt's books is that he reworks many of the same plot ideas into different books. I'm not sure how I feel about it. On the one hand it's his right, and if he does it in an interesting way, I guess it's fine. On the other hand, it can trigger another "not another collision of celestial bodies" reaction. Ancient Shores doesn't feature any such collision, but it revolves around an apparent artifact from a vanished alien civilization. I hadn't realized that "apparent artifact from a vanished alien civilization" was a McDevitt trope, but now I see that it is. Where the book excels is in imagining the news coverage of this discovery in the not-too-distant future. The "forget science, how is this going to affect my bottom line" attitude is closer to the mark than most of the wide-eyed wonder you see portrayed in sf. That said, the book is not all cynical -- the heroes, of course, possess much of idealism represented in the book. In fact, I think the ending borders on corny with a weird deus ex machina. Even worse, the ending doesn't resolve many of the questions raised in the first half of the book. So, parts I enjoyed, but it didn't finish as strongly as most of McDevitt's work. So it's been four years ago this month since I updated my countries visited map. Since then, I've been to the Netherlands (twice), Turkey and Japan. The former two I noted on my updated European map in September 2008. Japan, which I visited in 2009, calls for breaking out the full world map. If I hit my regular conference circuit, I will add no new countries in 2012, but I will in 2013. This three-year lull (2010-2012) in visiting new countries is partly due to revisiting countries (in the past two years, I've revisited Singapore, South Korea, Germany, the UK, Canada, and, as mentioned earlier, the Netherlands.) It's partly due to my reduced travel schedule with the boys around. The last time I went three years without visiting a new country was 1995-1997. Once again we visit a "restaurant" that barely hits the minimum requirements. 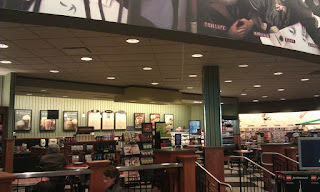 Could you say, "Hey, let's meet at Barnes & Noble, grab some dinner there, and sit and eat it"? Yes. I don't recommend it as a first date, however. It does, however, beat the food court Dairy Queen, our previous example of "barely a restaurant". Why? Well, the selection isn't awful. A few sandwiches that are pleasant enough, and a couple of different soups. Since it's mainly devoted to selling drinks, the beverage selection is pretty good. The service is not stellar. The first time I went, I was tempted by an offer of a $2 cookie for only $1 with purchase of a sandwich. While waiting for my sandwich, I looked at my receipt and, hey, they charged me $2. What followed was five minutes of let-me-figure-out-how-to-refund-this-oh-wait-I-have-to-call-someone-over. I have seen this dance at too many stores. I don't think the workers are dragging things out in the hopes that I'll say, "Never mind." But I think Barnes & Noble keeps teaching how to give a refund low on the employee training -- and not because they think their clerks never make mistakes. As I said, the sandwiches weren't bad. Based on the quality of the food, it could rise to a two-star establishment, which is pretty good for not-really-a-restaurant. The quality of the service makes it lose a half-star. Given the wealth of other options in Bowie Town Center, I don't feel bad only giving it a star and a half. As I suspected from the restaurant guide, Panda Express is now closed. When I stopped by to look, this not-very-interesting sign was in its place. I heard construction noises coming from behind the sign, which is encouraging, I guess. After I left, I wondered how much construction you really need to do to turn Panda Express into Asian Chao. Still, good for Bowie Town Center to turn around the location so quickly. Two other spots in the food court remain long-vacant, however. The City of Bowie has posted a new version of the restaurant guide which incorporates most of my corrections. They deleted Corridor Beer & Wine, but not the three restaurants located just outside city limits. They also added the Uptown Cafe. So how does that work for Firebird? Well, it was a solid entry, it had a flashback, an object, a mystery, attempts to kill Alex and Chase and finally, a meaningful discovery. So is it too formulaic? Actually, no. I cheated a little bit in checking off the list. The attempts to kill Alex and Chase are completely different than in any other books. I don't want to give spoilers, but let's just say they're not from people who want to prevent the mystery from unraveling. Further, public pronouncements from Alex lead other people into putting their own lives in danger in a way that is very realistic. I feel that one of McDevitt's strengths is that he has a better handle than most sf writers on what popular reaction to fictional events would really be like. Finally, the mystery and meaningful discovery actually relate to something that happened in the first book. If I didn't know better (from reading McDevitt's web site), I would be marveling at how he planted a seed in a book more than twenty years ago only to resist the temptation to pick it up again until the time was right. In reality, he had an idea which he managed to fit seamlessly with the backstory of the novels so that it seems that it had been there all along. An enjoyable read. It didn't blow me away, but the series is still fresh at entry #6. The Nebula nominees are going to be announced in a week or two, and I expect this book to be on the list. Depending on the competition, it may be a solid contender. Since I discovered that the Subway inside the Sunoco isn't actually in Bowie, I'm replacing it as #36 on my list with this review of the Uptown Cafe, which opened last year. I'm hoping to resume my regular numbering system with #43 next week. Uptown Cafe, 16701 Melford Blvd. Like One Town Center Deli, Uptown Cafe fills a particular niche -- a deli in an office park. I think Uptown is miles ahead of OTC Deli, though, for a number of reasons. The first is location. While OTC is across the street from about a quarter of Bowie's restaurants, Uptown is one of only three Bowie restaurants east of Route 301. (For the other two, you have to use 301 to get there from the part of Bowie containing Uptown.) If, like me, you work in the Melford office park, Uptown is a) the only place you can realistically walk to, b) by far the quickest place to drive and c) an easy place to stop for lunch on the way into work. Another advantage is that it's a better deli. 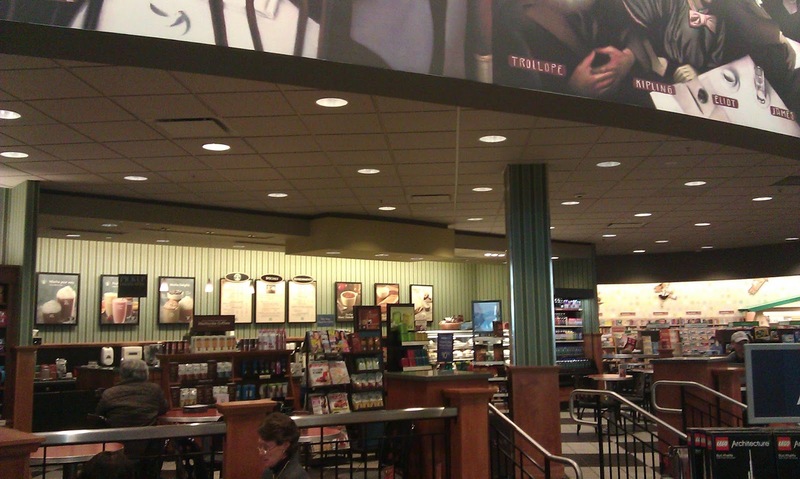 The sandwiches are nice, the beverage and snack collection is impressive, and they take credit cards. As an added bonus (worth half a star), they have Korean lunch specials, making it the only place in Bowie to get Korean food. If you have a craving for bulgogi, there's no guarantee they'll have it that day, but you are guaranteed not to be able to get it elsewhere. The prices are a little high -- if you want a cheaper, bigger sub, go to Subway. But I expect to pay a little more for a more convenient option. As you can see from my number of foursquare check-ins, I'm a regular customer (and the mayor). If I didn't work down the road, I don't think I'd ever have a reason to visit here. But it fits comfortable into its niche, and I'm very happy it's part of the Bowie landscape. I could say that I've taken the project of reviewing every Bowie restaurant too seriously when I'm excited by the 2012 City of Bowie Restaurant Guide coming out. But I think the real sign is reading through it and realizing that I have a more accurate database of Bowie restaurants than the City does. Crescent Food Market (now Crescent Beer & Wine) doesn't serve food. Rip's, the Subway in Sunoco and Chick-fil-a are not in Bowie. Cake Courtesan (not open yet), Auntie Anne's, Hershey's Ice Cream, Cold Stone Creamery, Rita's Italian Ice, The Cakery and Best Pie Company don't serve meals. Hunan Delight, Papa John's, China Chef, Hunan Gardens and Bowie Seafood Market are takeout-only. The first two objections are, in my mind, inescapable. That knocks the 94 restaurants down to 90. The latter two are my interpretation. With those deletions, we drop down to 78. The guide missed out on Uptown Cafe, which opened last year in the Melford office park. I was waiting until it appeared in the guide to review it, but since I seem to be keeping better track of these things than they do, I'm going to go ahead and review it later this week. That brings us up to 79. That list of 79, by the way, includes a few places that haven't opened yet. I don't think I've seen Asian Chao reported anywhere. If I google the address listed (and correct the misspelling), I get the address of Panda Express, which isn't on this year's list, so I guess is being replaced. So of these restaurants, I thought I was up to number 42. Number 36 was the Subway inside Sunoco, which I guess I should now delete, just like I did with Rip's. (Except I'm not going to honor the Subway with a "Beyond Bowie" review.) Number 38 is Panda Express. I'm going to keep that around, since it wasn't a mistake, and I don't think numbering should change because restaurants come and go -- only if I have made a mistake about what's actually in Bowie. So that brings the total up to 80, and I have 41 reviews. I've e-mailed some of my corrections to the City; we'll see if they respond. Note: For an explanation of the out-of-sequence numbering of this review, see the note at the end. International House of Pancakes, 15470 Annapolis Rd. It's an IHOP. You get what you expect. The food is not spectacular, but it's breakfast any time. That counts for something in a city without a real diner. Your other choice is, I believe, Bob Evans. After a 15-minute wait in a too-small waiting area with squirmy kids, we were led to a table with four chairs and two high chairs. I figured they had confused the number in our party, but it turned out they realized how much space you need with two toddlers. That's a plus. The food was nothing spectacular, but tasty enough. I like the fact that you can get blueberry pancakes with the blueberries in the batter -- most places just offer blueberry compote. (Here you get both.) The boys really enjoyed their eggs and pancakes. Christina got a "Simple & Fit" omelet, which she found acceptable. The eggs were a little overdone, and she feels that they should add spices if they're going to leave out the salt. 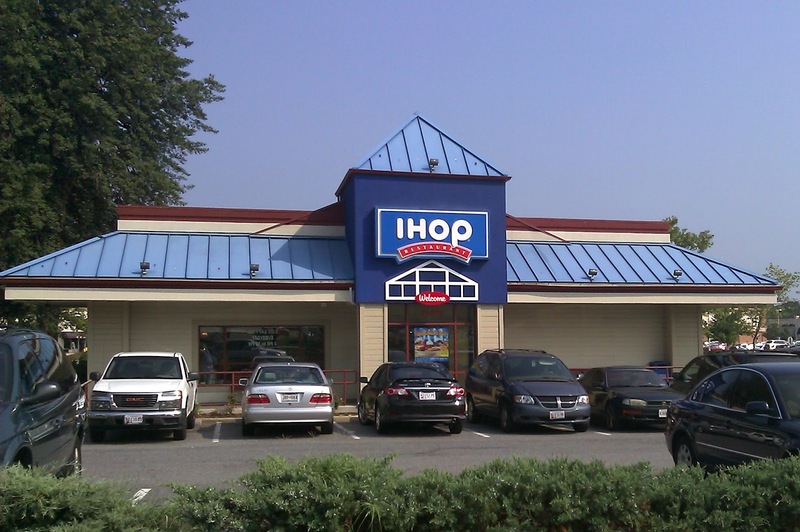 In general, places like IHOP serve bland food, which is part of the reason they get so much business. We have gotten takeout from them once before. It's not a great deal, since most people can make eggs and pancakes more cheaply at home. But sometimes you don't have the time, and the kids seemed to like their eggs better than what we've been able to do at home, so it's good to have as an option. In summary, IHOP is one of those "every city should have one" types of establishments. In lieu of Bowie having a diner, it's an OK alternative. It's kid-friendly, and the food is reasonable enough. Two and a half stars. I was recently informed that Rip's is not actually in the City of Bowie. Since I relied on the City of Bowie's list of restaurants within the city limits, I don't feel bad making that mistake. Still, I have stricken it from the list and replaced it as #18 with this IHOP review. So I've still done 42 Bowie restaurant reviews, but now the total is out of 75. 33 to go! Instead of deleting my review of Rip's, I am making it the first review in my "Beyond Bowie" series. I had originally planned this series as a complementary series to the Bowie reviews, in order to highlight nearby restaurants that substituted for gaps in Bowie's restaurant landscape. In this case, the gap comes from the fact that no restaurant actually in Bowie pre-dates the late 1960s, as far as I can tell. I've gotten delayed in my "Beyond Bowie" series because of the time I've spent reviewing Bowie restaurants, but I can think of at least four other places I plan to visit for the series. I find myself thinking wistfully of that place in time, say, not three years ago, when teenage bedrooms again sprouted daisy stickers and when Grunge ruled the catwalks. On another level, I think of when the imperative to become "wired" hadn't yet so much filled the world's workforce with dark dreams of low-tech paranoia and security-free obsolescence. It's been a busy half-decade. These words -- or at least the ideas they contain -- have stuck with me for more than fifteen years. Coupland's first and most well-known work, Generation X, is subtitled Tales for an Accelerated Culture, so it makes sense that he would be among the first to notice that life had sped up to the point that a person in 1996 could experience nostalgia for 1993. I remember reading it and thinking, "Wow, he's right." Now, in 2012, I get an e-mail every day from a service called Timehop. It was originally called "Foursquare and 7 Years Ago" and would tell me what places I had checked into a year previously. Now, it includes updates from Foursquare, Twitter and Facebook. Given the service's previous name, I had hoped that when my Foursquare account turned two, I would start to get updates going back more than one year. Alas, that's not the case. 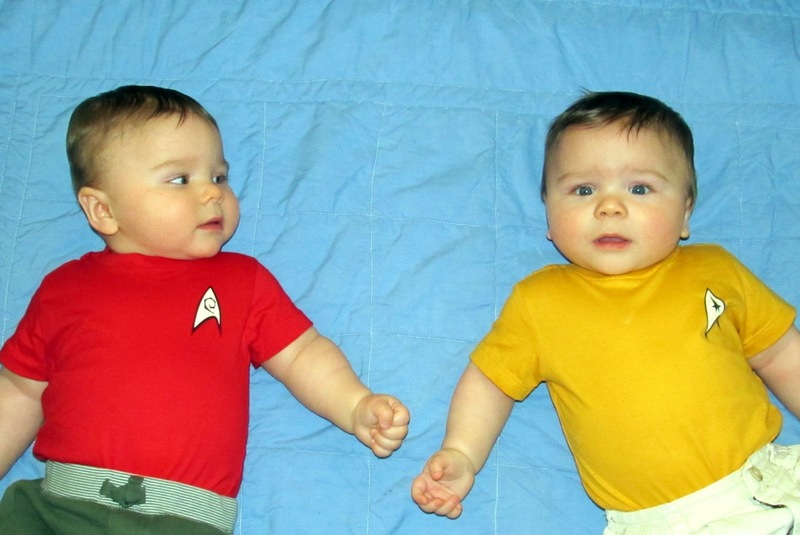 Today, for example, I found out that last year I took a picture of the boys in their Star Trek onesies and picked up dinner from Noodles & Company. I was not, however, informed that on February 3, 2010, I was at Safeway stocking up before another massive snowstorm, nor that I picked up dinner at Boston Market due to our ongoing kitchen renovation. 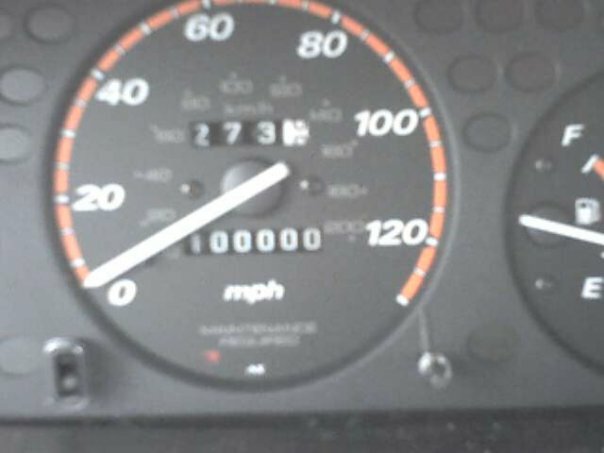 I did not learn that 3 years ago today, the odometer on my CR-V hit 100,000 miles. Nobody told me that in 2008 I ordered two calzones from Rastie's. I had to dig through my e-mail to learn that five years ago today, I posted a session report from a game of "Up Front". And it saddens me to report that I have absolutely no idea what I was up to on February 3, 2006. Oh, wait. I posted something about how my go rating had just reached 23 kyu. (It's at 14 kyu now.) Also, Christina and I appear to have been in California. My point (if I still have one), is that while I enjoy reveling in the past (and would love to have a record of February 3, 1982), that's not the way the world works these days. The three-year nostalgia Coupland identified in 1996 has become quaint. (Remember when we had three-year-nostalgia? That was awesome.) Now, a year ago constitutes the good old days, and beyond that -- it's best not to think about.